Monarch Air Group provides private air charter in Lanai, HI. Our clients benefit from top-notch service, unrelenting dedication to safety, wide selection of aircraft, and years of experience in chartering private jets. To obtain a free quote, please use our online quoting tool provided below, or call toll free 1-877-281-3051. Monarch Air Group provides private jet charter flights in and out of Lanai, Hawaii, USA. With a total area of 140.5 square miles Lanai is the sixth largest of the Hawaiian Islands situated near the heart of the Pacific Ocean. Separated by the Pailolo Channel, Lanai is located in the west of Maui, and in the south of Molokai, separated by the Kalohi Channel. 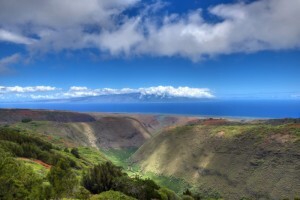 With a population of approximately 3,000, Lanai is the smallest inhabited island of Hawaii. The capital of Lanai and the main town of the island is Lanai City. In early years Lanai has been brought to prominence by its agriculture industry development .Nicknamed the “Pineapple Isle”, nowadays Lanai is the fastest growing center for Hawaiian tourism and commerce. There are many luxurious resorts, great restaurants, and excellent golf courses. Having unique blend of azure pristine waters, white sandy beaches, bountiful natural resources, and picturesque surroundings, Lanai is a perfect place for both business and leisure travelers from all over the world. It has something to offer for everyone, from discovering the Garden of Gods and visiting Sweetheart Rock, to spending the day on the Shipwreck Beach and scuba diving at the Lanai Cathedrals. Explore Hawaii’s unique combination of customs, cultures, traditions, and cuisine through various activities. It is easy to reach Lanai from Maui by ferry, which runs every day from Lahaina Harbor. Lanai is served by Lanai Airport (LNY), the main aircraft gateway to the Lanai island.